I've been pretty slacko on the blogging front lately but life keeps getting in the way... Hopefully I can convert some of the living into half interesting posts! 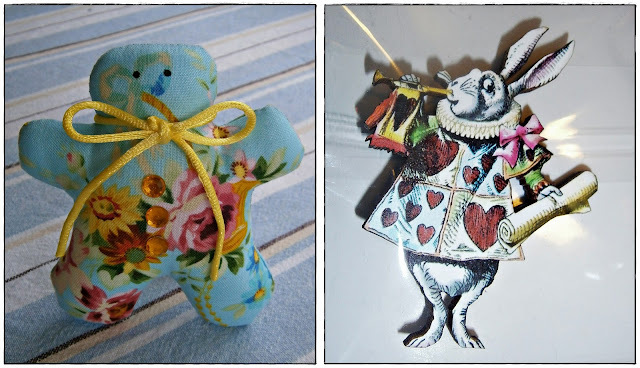 In the meantime I've been ready to go on the New Year Cracker Swap for ages but just haven't gotten around to it! 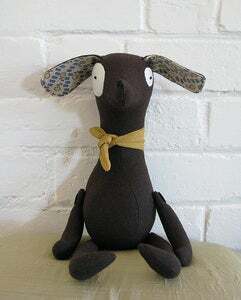 - And an additional sewing pattern from Australian Designer Fiona Dalton for Rufus the Dog! I will be making a few of these! 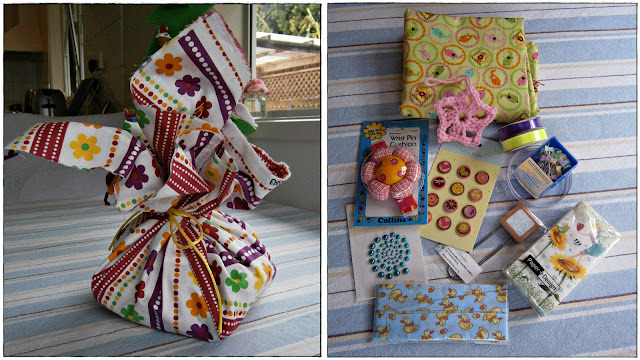 Thank you for hosting a wonderful swap and for your gorgeous cracker Lisa! Late last year I signed up for Lovely Lisa's New Year's Cracker Swap. Being a bit eager I got it all ready and sent by mid December and Lisa confirmed it arrived later that month. Lisa's preferred colours are pink, yellow, blue and green, she likes to sew, loves Alice in Wonderland and does mixed media art... So here's what I sent. 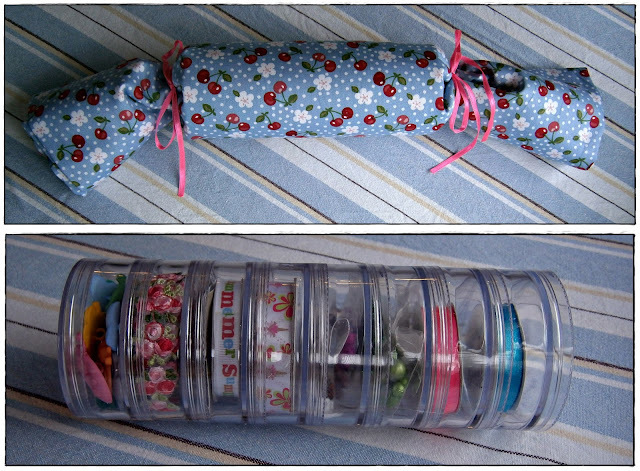 My tubing was two craft container stacks screwed into each other filled with buttons, 5x ribbons, 4x packs of glass beads & embellishments, 4x iron on characters. All wrapped up in the blue cherry blossom fabric. It included: Another metre of fabric, binding, pins, pin cushion, embellishments, tissues, 2x rolls of ribbon, a bookmark, a pink crocheted star and... an Alice In Wonderland Rabbit Brooch made by the talented Davina from Art Devine. I really hope you love all the goodies and they come in handy Lisa!